With a line like that, how could you forget Captain Benjamin Sisko played by Avery Brooks? Each proof features a colorized image of this exemplary commander and the space station: Deep Space 9. 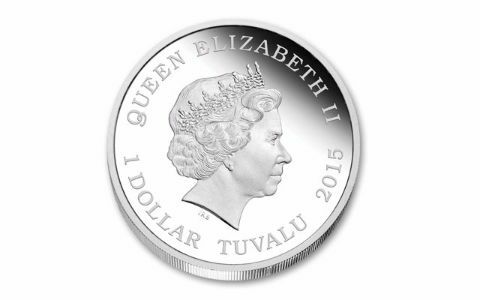 Struck by the Perth Mint in one ounce of 99.9% fine silver, each is $1 legal tender in Tuvalu. 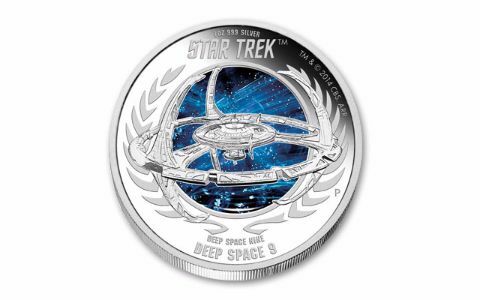 Yours will come in Star Trek mint packaging with a certificate of authenticity. The set of both proofs comes with transporter-inspired cases that actually light up. Only 6,500 will be struck in each design. 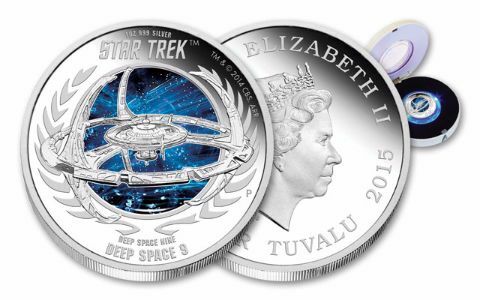 These are a must have for the serious Star Trek fan!